| Home | How to Take Care of a Rabbit | Are Mini Plush Lop Rabbit Easy to Care for? Are Mini Plush Lop Rabbit Easy to Care for? Mini Plush Lop Rabbits are ideal companions with a wonderful temperament. These creatures are however fragile, and should be handled accordingly.A rabbit’s ears are extremely sensitive and should not be pulled. When holding your Mini Plush Lop, one hand should be placed under the breast and the other positioned under the back feet.Your pet can become excited and stressed with excessive movement or handling. Hold the rabbit gently and when letting down, lightly place them. By doing so, one can avoid dropping the Mini Plush Lop as well as injury from them prematurely jumping away. Mini Plush Lop Rabbits have silky fur that molts around twice a year, preventing undesirable shedding. 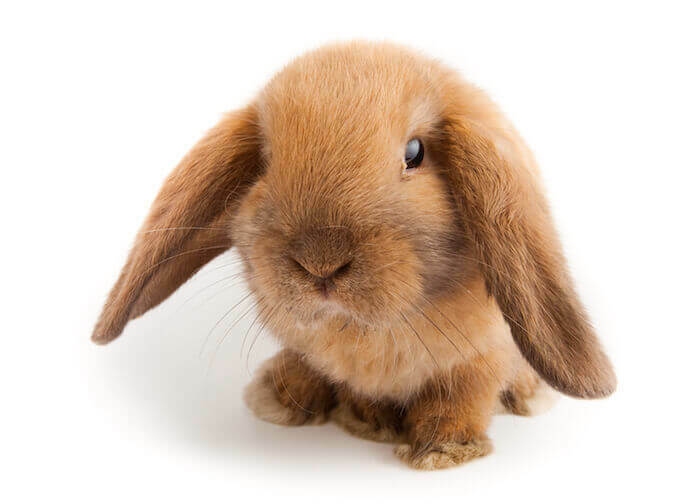 However, if kept indoors, there is a chance that your rabbit’s ears can collect dust and eventually ear mites.It is very important to groom your Mini Plush Lop every couple of weeks, as well as scheduling regular check ups with your veterinarian. Make certain that the mini plush lop is up to date with all necessary vaccinations. Always make sure your rabbit’s nose, ears and mouth are clear and free from mites. Gently run your hands across the body making certain no abnormalities, such as bites or abrasions, can be detected. Comb your pet occasionally with a wire bristled brush. This is especially helpful when the rabbit moltes and can ease the process. If you notice your Mini Plush Lop looks unclean, do not be tempted to bathe them in water. Bathing a rabbit can cause more harm than good. Clip the nails of the Mini Plush Lop Rabbit when length and sharpness become apparent. Bear in mind that rabbit nails are similar to those of a cat or dog. Take caution to avoid clipping too far, hitting the blood vessel that lies inside the nail. Your pets teeth steadily grow. You must provide them with something that can be chewed to keep their at a comfortable length, a piece of wood for example. 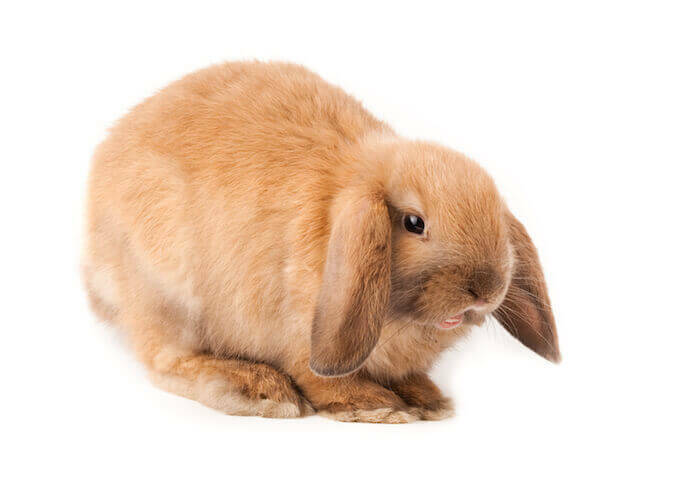 Rabbit chews can be purchased at many pet retailers as an alternative. A Mini Plush Lop diet should be monitored and regulated to avoid negative food reactions like discomfort from bloating or food poisoning. Portion control in relation to the weight of the rabbit should be routinely followed.Do not feed your rabbit spoiled food or discarded waste like potato skins or onion peels. You must also avoid cabbage and lettuce.Preferably, the following nourishments should be given to your Mini Plush Lop. Not only will the ingredients provide your pet with necessary vitamins and nutrients, but they will assist in maintaining the health and livelihood of the rabbit. A constant, clean water supply must be available to the Mini Plush Lop. Avoid giving the water in a dish, as this promotes bacteria. If a water bottle is instead used, chances of liquid collecting in your rabbit’s lungs and drowning can also be avoided. These lovable creatures can be kept indoors or outside.If you decide to raise the Mini Plush Lop within your home, you must procure a wire walled cage. Place planks at the bottom of the cage to prevent injury from the rabbit stepping through the wire.Fill a small litter box with newspaper and pellets, placing it preferably in a corner. Line the cage’s floor with soft bunny hay or blankets to create a cozy bed. In the opposite corner, clip on the water bottle and place the rabbit’s food.If the rabbit will be living outside, a wire or timber hutch must be obtained. For the safety of your Mini Plush Lop, make certain that the hutch is secure to protect the rabbit from predators such as foxes or cats.The interior of the hutch can be formatted much like an indoor cage. Provide the Mini Plush Lop with bedding and a litter box, as well as a water bottle and food.Depending upon the weather, the hutch will have to be moved to different areas. In warmer conditions, place the hutch in shade to avoid overheating.It is crucial for the health of your rabbit to clean the cage or hutch regularly. Replace the newspapers and pellets in the litter box as well as the bedding at least once a week. Please do not bathe rabbits in more than 2-3 inches of water and only do so if TOTALLY necessary or with a vet’s approval. This should be included as bathing can be stressful and water in the ears can cause infections which can then lead to head tilt. Also rabbits dense undercoats are difficult if not impossible to dry properly and if you dont dry them thoroughly it can cause hypothermia.